It all started with the triathletes who would come into Truffle Treasures asking for the shop’s famous giant chocolate peanut butter cups. These are people whose exercise regimens are so rigorous, they apparently seek ways to maximize their intake of calories, protein, and fat just to keep from losing weight. It’s a problem I can’t say I relate to so forgive me while I feign sympathy. For Lara Vaarré, the owner of the sweet shop, it opened up a new avenue for her truffles. A path that led to the South Pole. One day a couple of years ago, a pair of rather famous travel adventurers, Meagan McGrath (the first Canadian Woman to do the Seven Summits) and Shawn Dawson (who is in the midst of a climb to Kilimanjaro, the final leg of his Seven Summit Quest) walked into Vaarré’s Westboro location and introduced themselves. A friendly conversation led to the unlikely partnership: extreme mountain-climbing and chocolate truffles. Packed with fat and sugar and easy to pop in your mouth anywhere, anytime, chocolate truffles seemed like an ideal food for these athletes. Vaarré was willing to customize the treats, designing them to replenish calories quickly as well as making them easier to pack, carry, and consume. Today, there is a map posted at the Glebe location of Truffle Treasures displaying everywhere its chocolate has landed. Vaarré says nobody believes that her truffles travelled to the South Pole. Earlier this year, Vaarré began developing another product line for the trio of chocolate-loving adventurers she now officially sponsors. (The third is Ray Zahab, an ultramarathon runner based in Chelsea, Quebec who made history, along with 2 others, by running across the entire Sahara Desert.) Chocolate truffles are great in cold temperatures but the chocolatier understood that the climbers needed something less likely to melt when travelling in hot destinations. Her new line of Power Bars was born. 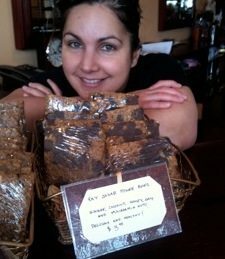 Using a base of oats, honey, butter and molasses, Vaarré has been experimenting since Valentine’s Day with all kinds of flavour options for her power bars: ginger, coconut, and macadamia nut; dates, almonds, and cacao (not to be confused with cocoa); as well as mixing in superfoods like flax and chia seed. There is, of course, good quality chocolate in all of them. She says it has taken a lot of testing and sampling to get them to be an ideal texture: very soft and chewy without being overly sticky. While she says she had no intention of selling them in the shop, they appear to have struck a nerve with her regular customers. Whenever she made a batch for the athletes, she would put out a plate of the trimmings at the front of the shop. “People went crazy,” she says. 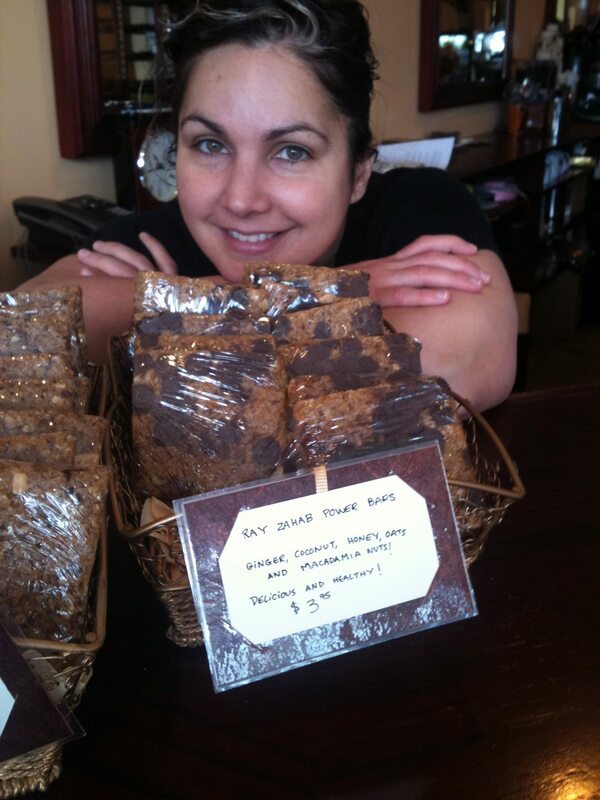 The aptly named Ray Zahab Power Bars are now for sale at the Westboro location. But a word of warning: they are not for the faint of heart.